I’ve very much wanted to see Chiranjeevi’s 1993 film Mutha Mestri after I saw the fabulous video of “We Are Flowers” song. According to a research done by Cinema Chaat, the song is included only in the EVP version and the DVD by Moser Baer doesn’t have it. 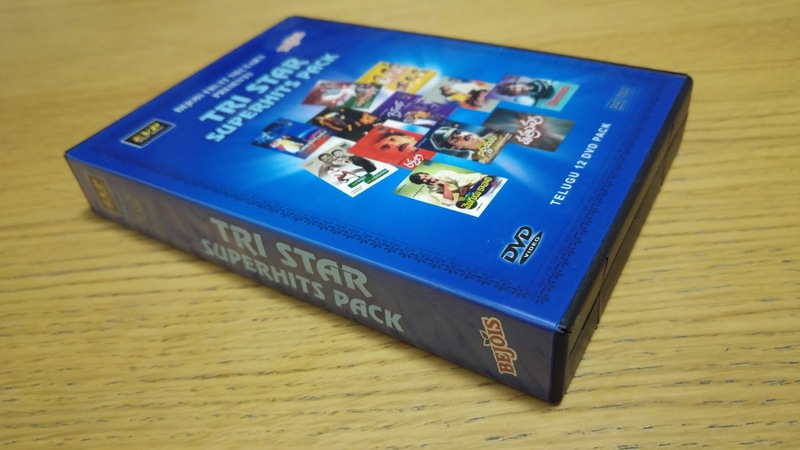 The EVP DVD has been somewhat difficult to track down but some time ago I noticed that it is included in EVP’s 12 DVD Tri Star Superhits Pack that Bhavani DVD sells for $47.99. 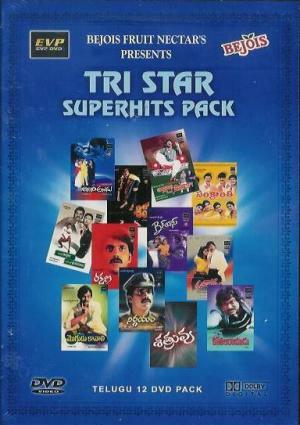 The box has twelve oldish Telugu movies by “Tri Star” which means the three big stars of Telugu cinema: Chiranjeevi, Venkatesh, and Nagarjuna. The product’s description page at Bhavani doesn’t have very detailed information about the pack so I thought that I could make a simple list and take a few photographs of the contents of the pack in case that someone is considering whether to buy it or not. Four of the 12 DVDs, including Mutha Mestri, come with English subtitles. Unfortunately the songs in Mutha Mestri aren’t subtitled but it’s of course more important to have subtitles in the actual dialogue. (I haven’t checked the song subs of the other movies.) 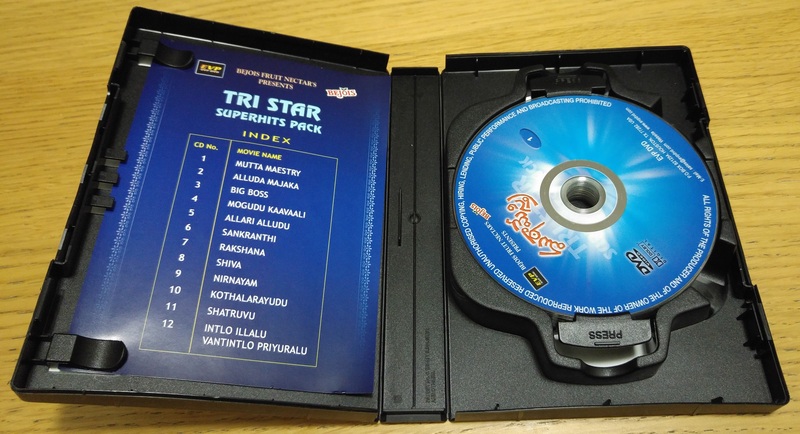 I knew that not all of them would come with subtitles but it’s a pity that Shiva isn’t subbed, as Shiva DVD by Shalimar has the subs. Four of 12 isn’t a very good subtitle ratio but I think it was worth it for Mutha Mestri. 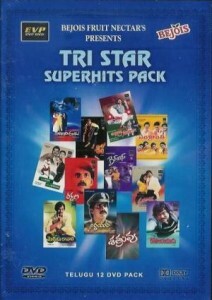 The pack also includes Alluda Majaka which is YouTube-famous for a miraculous tractor fight and horse-sliding under a truck. The case that contains the 12 DVDs is about the size of two regular DVD cases. It would solve all my storing space problems if all movies were packed like this. 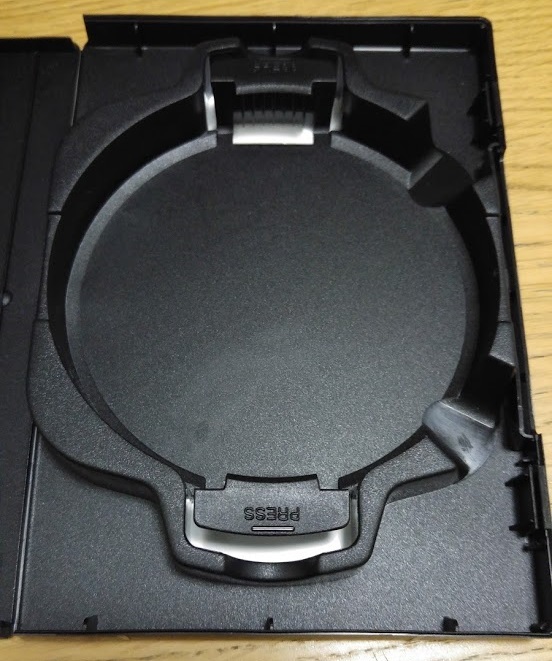 The inside and the outside of the case. The inside of the case with and without the discs. 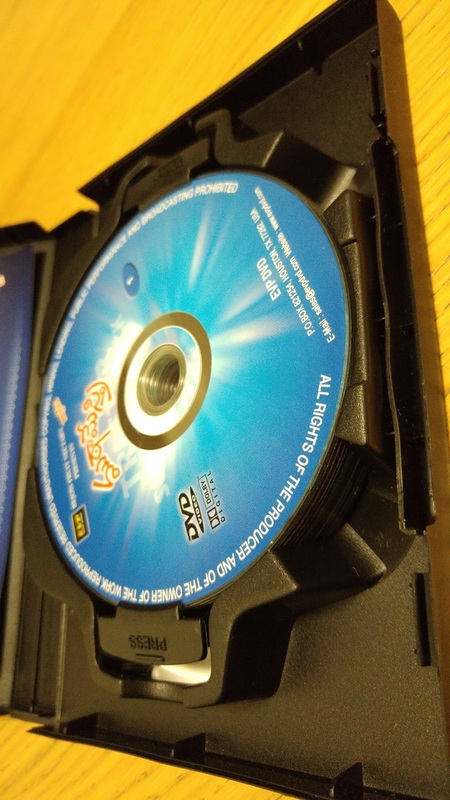 I hadn’t seen a DVD case mechanism like this before.